Massachusetts Quilt Guilds: 38 to choose from! 38 guilds for you to choose from! The Massachusetts Quilt Guilds shown on this page are listed alphabetically by meeting location for your convenience. You'll also find an email or website or Facebook URL so that you can contact the guild directly to confirm the meeting day, time and location for when you want to visit. Have we included your guild? If not, please add it, it's easy to do. Just use the blue 'To Add a Quilt Guild' button found below. Thank you for your much appreciated assistance in keeping these listings up-to-date. I couldn't do it without your help! 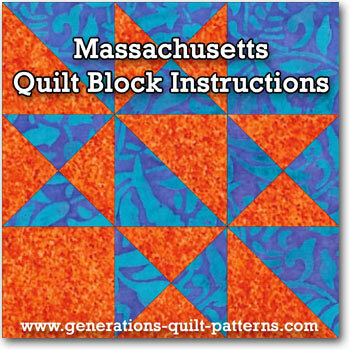 ...check out the Massachusetts quilt block. Instructions are provided for 5 different sizes! Click the image to the right for details. Need more fiber in your diet? We've got just the prescription for you! Visits our Massachusetts quilt shop directory. 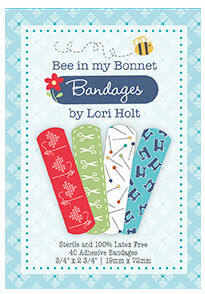 With more than 60 stores, you're sure to find the perfect fabrics and pattern for your next quilt project.